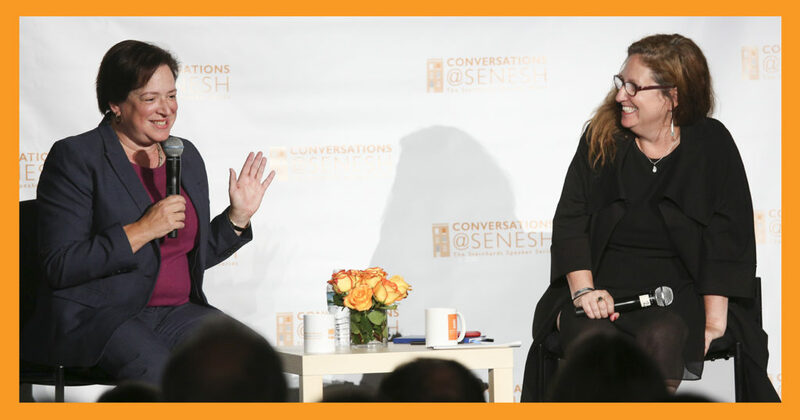 Conversations@Senesh invites influential public figures to reflect on the Jewish values that shape their lives and drive their accomplishments. We hope the themes that emerge from these talks will inspire dialogue in our Senesh community and our thriving Brooklyn neighborhood. Conversations@Senesh has been generously funded by Judy and Michael H. Steinhardt. Questions? Email info@hannahsenesh.org or call 718.858.8663.